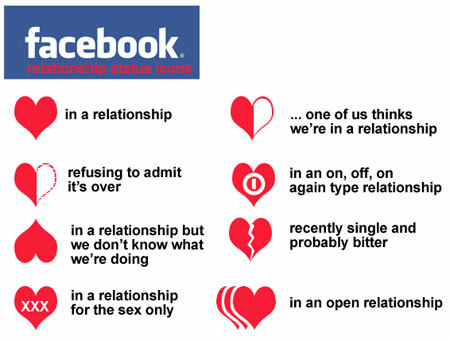 Is your (Facebook) love for show? I think we’ve all noticed those couples that are always all over each other. Can’t keep their hands off of each other and decide to have full-fledged make-out sessions on your subway ride home or at your gym. And now that everyone is on Facebook, those couples like to put it all over their Facebook pages, commenting on every picture their significant other puts up. Liking every wall post and so forth. Nine times out of ten it’s just the girl engaging in the FDA (Facebook Display of Affection) because…well isn’t it always the girl who wants to showcase her relationship to the world? Now I know sometimes you just have to comment on a picture, but I can’t help but wonder if the people excessively engaging in such behavior are doing so just for show. I had to stuff some fries in my mouth to stop myself from laughing. I mean, did she really just say how many pictures she “liked?” Is she really keeping Facebook stats to recite during her ploy to get him to buy her something nominal? The guy is looking at her slightly puzzled, and since he’s a better friend of mine than she is, I say “that’s because he has your phone number and he can call and text you when he wants to show you how much he cares.” She responded, “well if he wrote on my wall it would really show that he cared.” I didn’t respond, after all I felt like I shouldn’t have made my initial comment, but why should FDA count more than a thoughtful call or text? Is it because there’s an audience and all of your FB friends will think your boyfriend/girlfriend cares because they spend so much time on your FB page commenting? Personally, whenever I see FDA, I think the couple isn’t spending that much time together. Or one person is wishing they spent more time together. I never write on the walls of people I’m spending a lot of physical time with, because oh I don’t know I’m too busy enjoying my time with them. Maybe I’m different though… But I can’t be too hard on FDA lovers because they also tend to have the most amusing FB breakups! ← What is a hater’s motivation?